of sudden stops, potholes or any other surprises. The Golf Cradle. Protect your clubs and your investment. 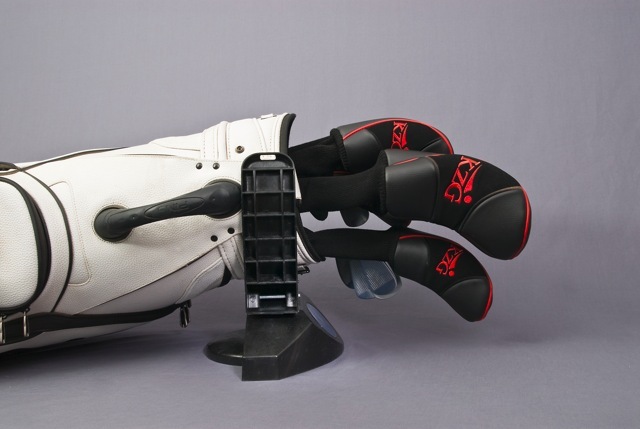 Place the open end of your golf bag into The Golf Cradle. The arms automatically close, grasping your bag and securing it in place. Strap your bag and lock it in place. Straps secure the bag in place. 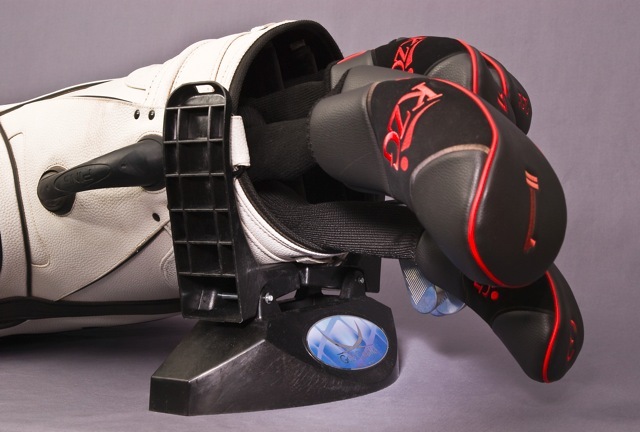 The built-in buckle locks to keep your clubs stationary. The strap length is adjustable and fits ALL bags.